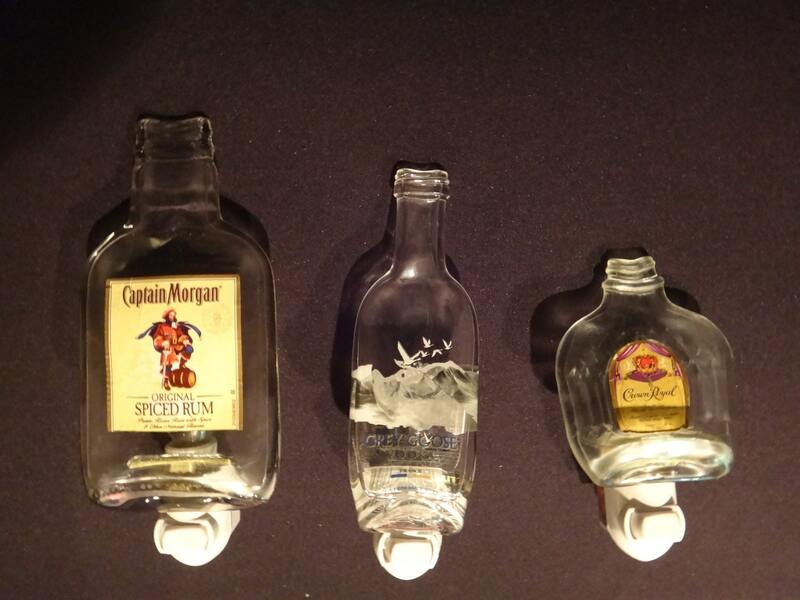 These little airplane sized bottles now come in plastic. 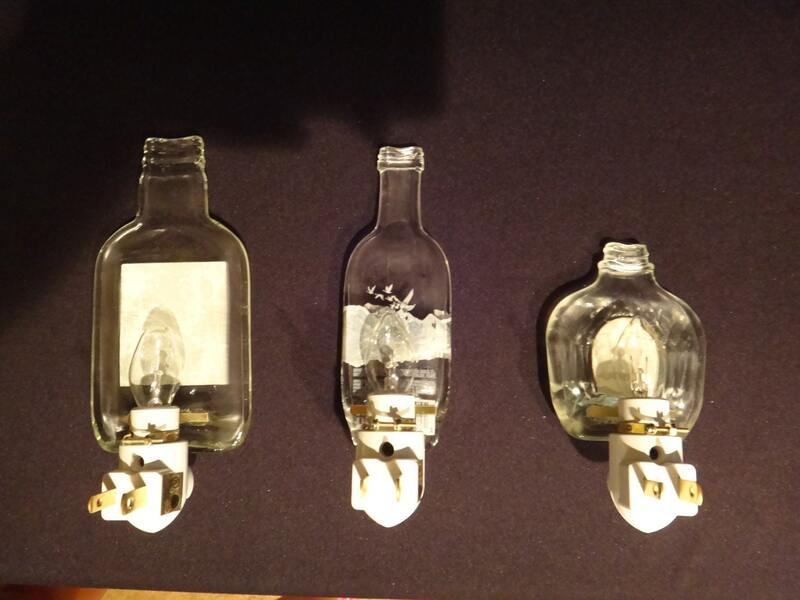 I have ONE glass Crown Royal bottle that has been melted flat and made into a night light. - GREAT For he Man Cave or Bar area. Looking For A One Of A Kind Gift, Look No Further. 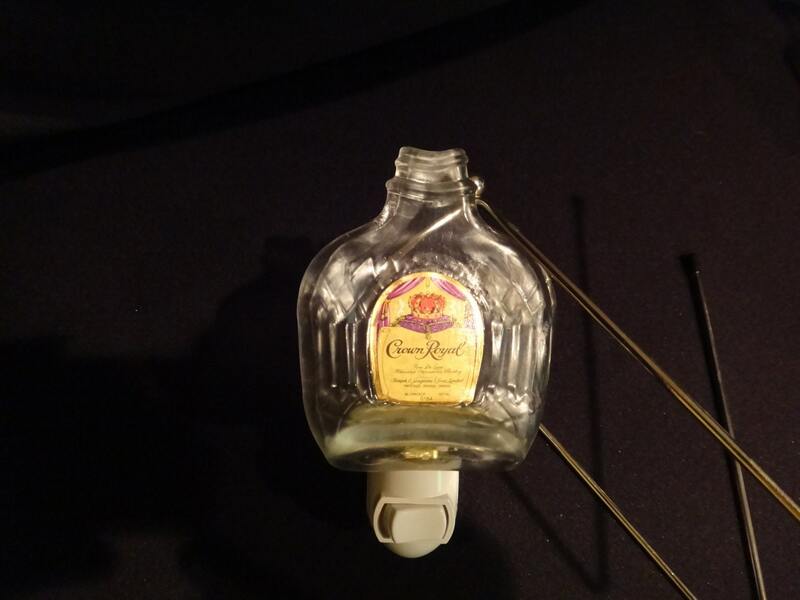 This Recycled Airplane Sized Crown Royal Bottle Has Been Melted and Crafted Into A Night Light. White Base, 4 Watt Bulb And A Toggle Switch.